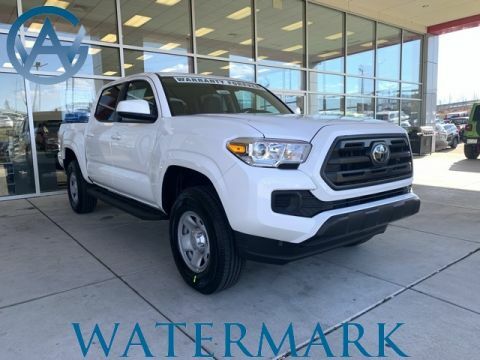 The Car Connection says the Tacoma retains its “macho truck” heritage thanks to distinctive styling, and you can experience this truck at Watermark Toyota. We offer a range of Tacoma models with backup cameras, so check out your options today. 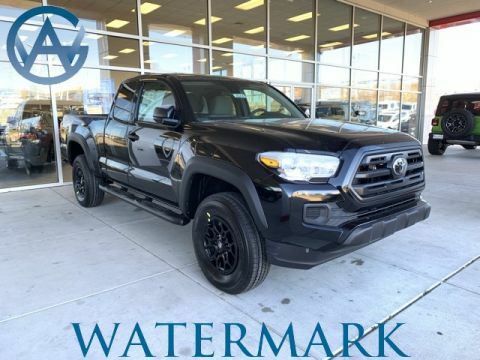 Tacoma SR V6 Access Cab, Midnight Black Metallic, Cement Gray Cloth, Watermark's Warranty Forever, Auto High-beam Headlights, Black Overfenders, Daytime Running Lamps, Exterior Parking Camera Rear, Remote Keyless Entry, SR Convenience Package, SX Package. The Watermark Warranty Forever is valid for as long as you own the vehicle & for an unlimited time, unlimited miles. How much is it? Zero. We're building "Customers for Life" so the Watermark Warranty Forever comes standard with every qualifying vehicle meeting the criteria and is included at no extra charge. There are no catches, hidden fees, or gimmicks. Our dealership provides this product as an added value to our Customers for doing business with us. 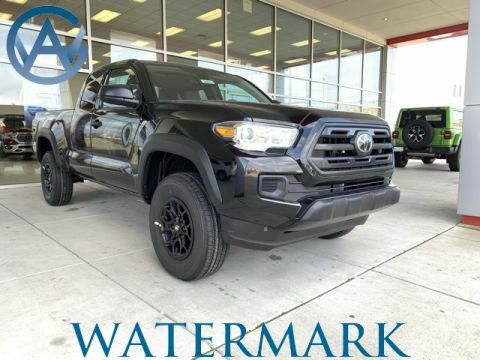 Tacoma SR V6 Access Cab, Midnight Black Metallic, Watermark's Warranty Forever, Bluetooth Connection, Auto High-beam Headlights, Black Overfenders, Daytime Running Lamps, Electronic Stability Control, Exterior Parking Camera Rear, Remote Keyless Entry, SR Convenience Package, SX Package. 2019 Toyota Tacoma SR As part of the Toyota family, your exceptional ownership experience starts with ToyotaCare1, a no cost maintenance plan with 24-hour roadside assistance. The ToyotaCare plan covers normal factory scheduled maintenance for 2 years or 25,000 miles, whichever comes first. 24-hour roadside assistance is also included for 2 years and unlimited miles. Tacoma SR V6 Double Cab, 4WD, Midnight Black Metallic, Watermark's Warranty Forever, Anti-whiplash front head restraints, Auto High-beam Headlights, Distance pacing cruise control: Dynamic Radar Cruise Control, Electronic Stability Control, Exterior Parking Camera Rear, Remote Keyless Entry, SR Convenience Package, Traction control. 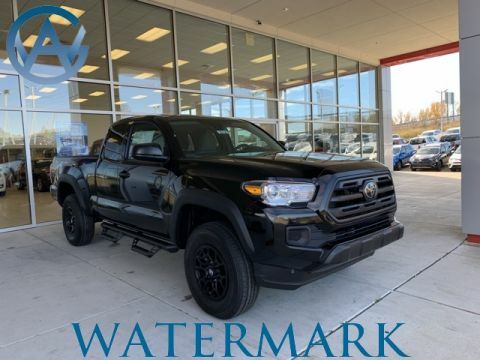 2019 Toyota Tacoma SR The Watermark Warranty Forever is valid for as long as you own the vehicle & for an unlimited time, unlimited miles. How much is it? Zero. We're building "Customers for Life" so the Watermark Warranty Forever comes standard with every qualifying vehicle meeting the criteria and is included at no extra charge. There are no catches, hidden fees, or gimmicks. Our dealership provides this product as an added value to our Customers for doing business with us. Tacoma SR V6 Double Cab, V6, 4WD, Super White, Watermark's Warranty Forever, Auto High-beam Headlights, Distance pacing cruise control: Dynamic Radar Cruise Control, Electronic Stability Control, Exterior Parking Camera Rear, Remote Keyless Entry, SR Convenience Package, Steering wheel mounted audio controls, Traction control. The Watermark Warranty Forever is valid for as long as you own the vehicle & for an unlimited time, unlimited miles. How much is it? Zero. We're building "Customers for Life" so the Watermark Warranty Forever comes standard with every qualifying vehicle meeting the criteria and is included at no extra charge. There are no catches, hidden fees, or gimmicks. Our dealership provides this product as an added value to our Customers for doing business with us. 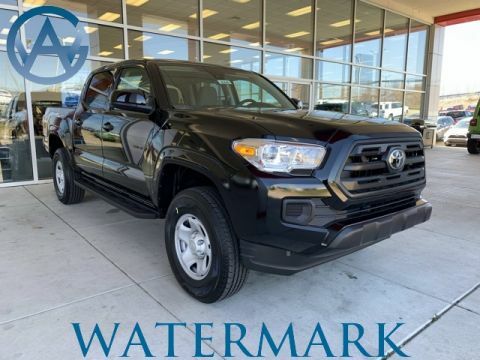 Why Buy a New Tacoma with Backup Camera at Watermark Toyota? Visit our showroom today at 1055 Crossing Place in Madisonville, KY, right off of Interstate 69. If you’d like to see how easy it is to park the Tacoma with a rearview camera, just schedule a test drive now.